A little over a month ago, I had the privilege of meeting and talking to it Cosmetics co-founder and CEO Jaime Kern Lima. She was in town to celebrate the exciting news that it Cosmetics would soon be coming to Sephora this Fall and this self-proclaimed #itGIRL couldn’t be more excited! This is huge news for us Canadians! 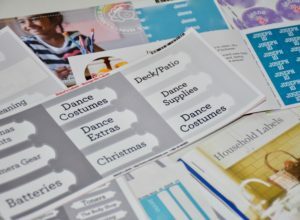 In the past, I usually picked up my favourite it Cosmetics products in the States or ordered them on The Shopping Channel so having the brand be so accessible is music to my ears! 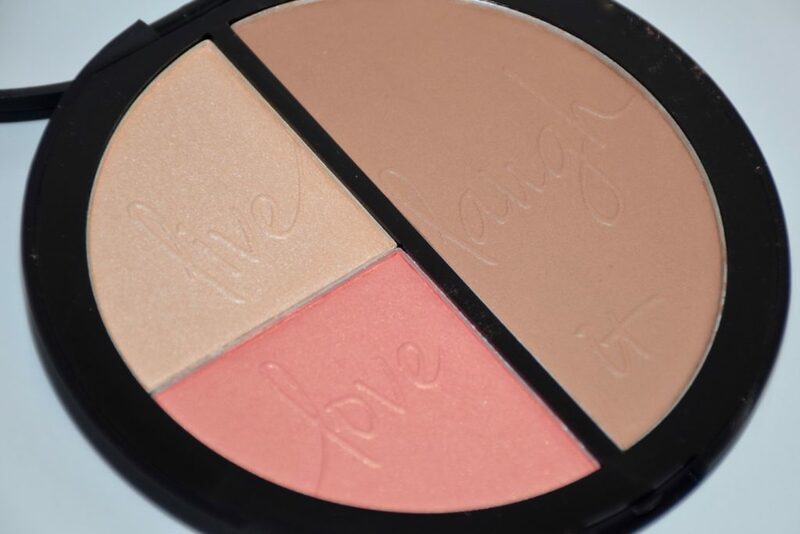 If you’re not familiar with it Cosmetics, you will soon fall in love with the brand – guaranteed. 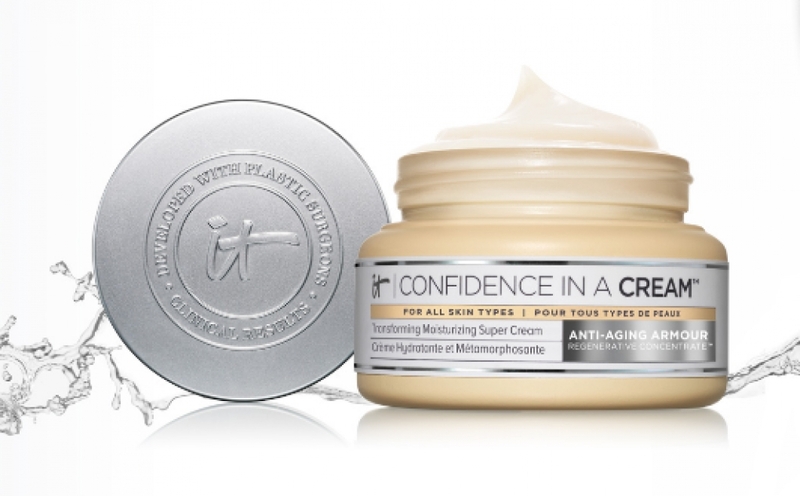 While they have only been around for 9 years, the makeup and skincare brand has grown significantly due to its worldwide popularity and because “real women get real results and tell their friends”, according to Kern, who worked with dermatologists and plastic surgeons to create many of their best-selling products. 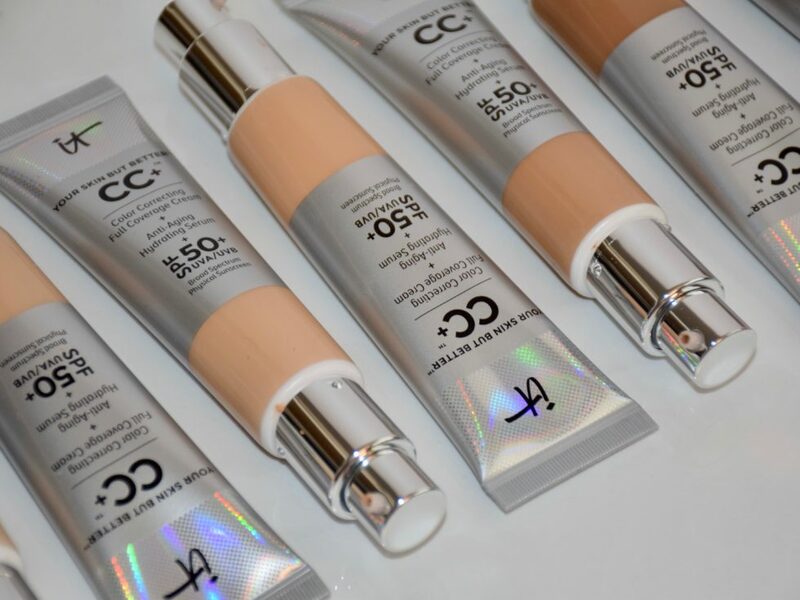 Their Your Skin But Better CC+ Cream (SPF50+) and Bye Bye Under Eye Concealer (reviewed here back in 2013) are cult-favourites that I’ve also been using for years! 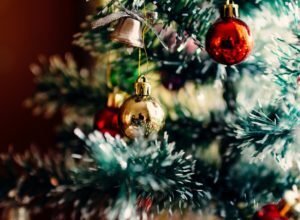 Let’s take a closer look at some of their best-selling products. 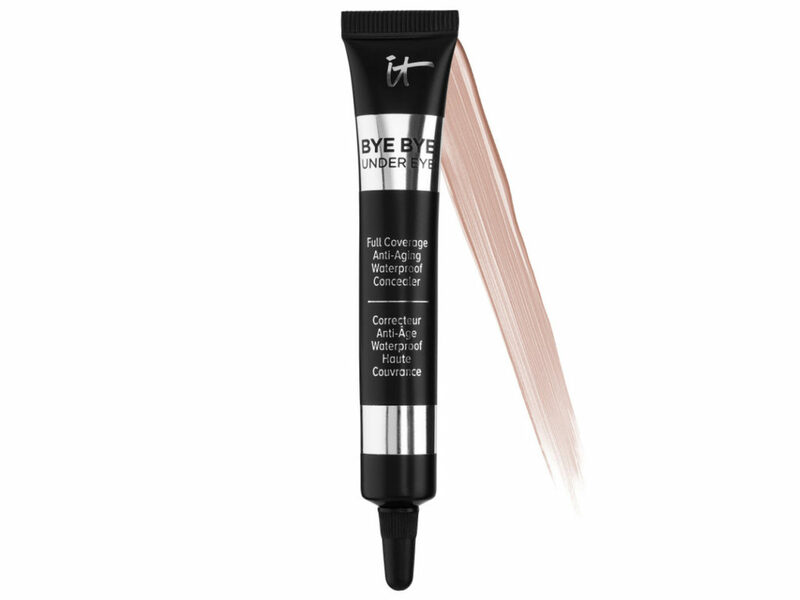 This anti-aging, waterproof concealer has excellent pigmentation and staying power and #IT works! 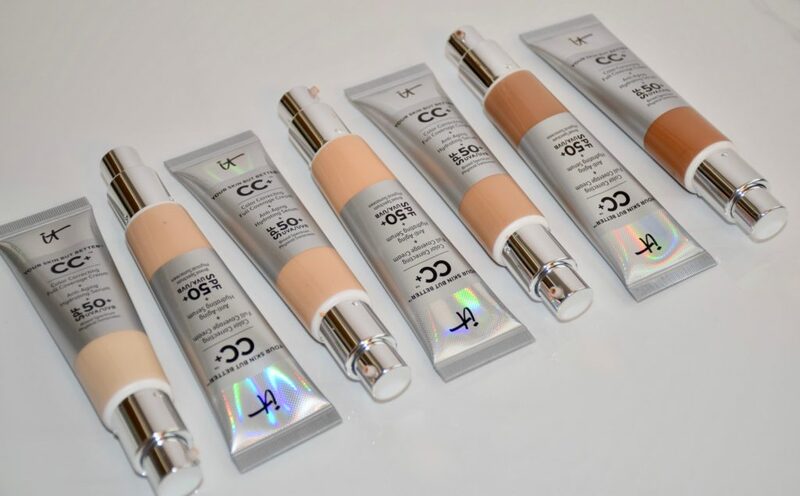 Some people find it too thick but anyone with dark circles or under eye bags or even any redness/discolouration will appreciate its full coverage formula and heavy duty concealing power. 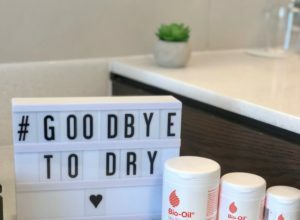 It doesn’t crease and is infused with anti-aging hydrolyzed collagen, peptides, hyaluronic acid, vitamins, antioxidants, and high-performance pigments to ensure that your skin looks its best. 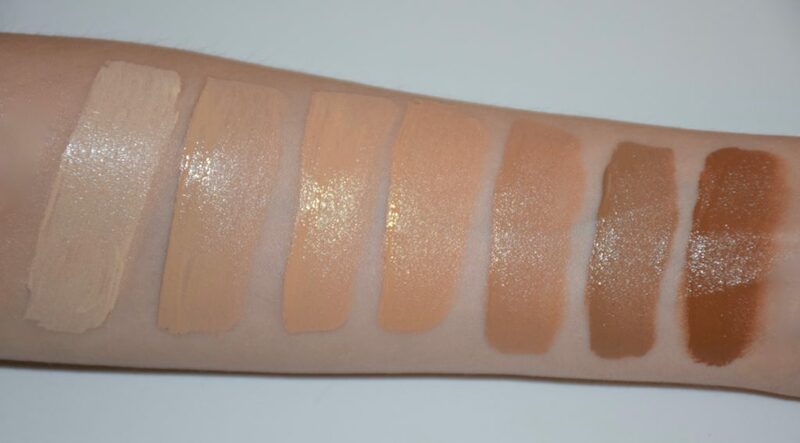 Available in 6 shades, all swatched below. This universal, translucent finishing powder blurs the look of pores and imperfections, giving your skin a more youthful, airbrushed look and feel. It contains real silk and hydrolysed collagen to erase the look of pores and smooth away the look of wrinkles. 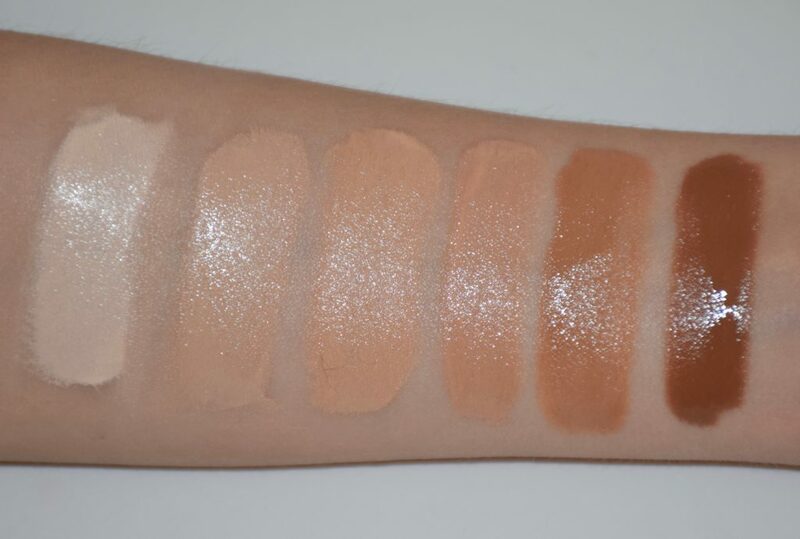 The universal translucent shade works on all skin tones and is available in pressed or loose powders. I love this palette! 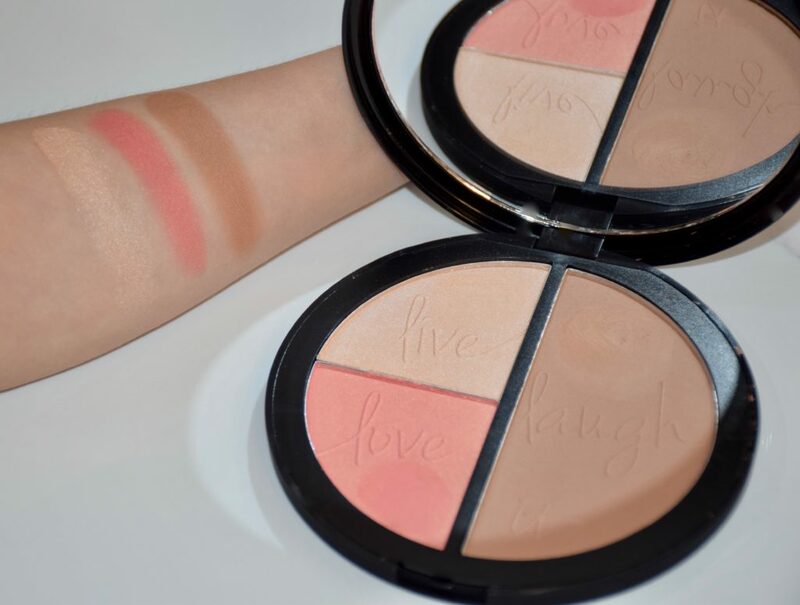 This 3-in-1 powerhouse compact includes a talc-free matte bronzer, a radiant luminizer and a brightening blush for a naturally pretty complexion. The powders are formulated with proprietary Drops of Light Technology™ and hydrolyzed collagen, silk, and peptides instantly diffuse the appearance of lines and wrinkles while nourishing your skin. This mascara is “skincare for your lashes” and gives them “superhero powers”!. 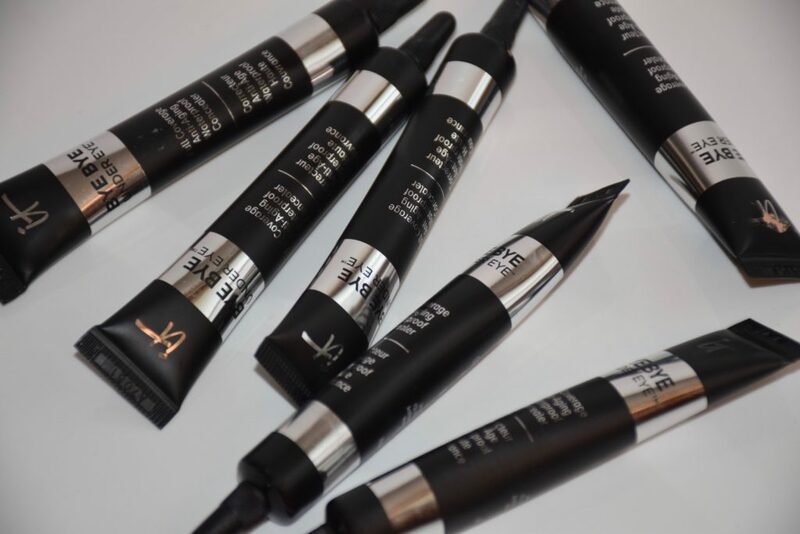 It contains powerful lash-lifting polymers, volumizing collagen, strengthening biotin, proteins and peptides combined with a super black pigment to lift and separate lashes while creating a fuller lash line. Superhero doesn’t clump and can also be built up for extra lengthening results! It really gives lashes volume and length in just one coat! 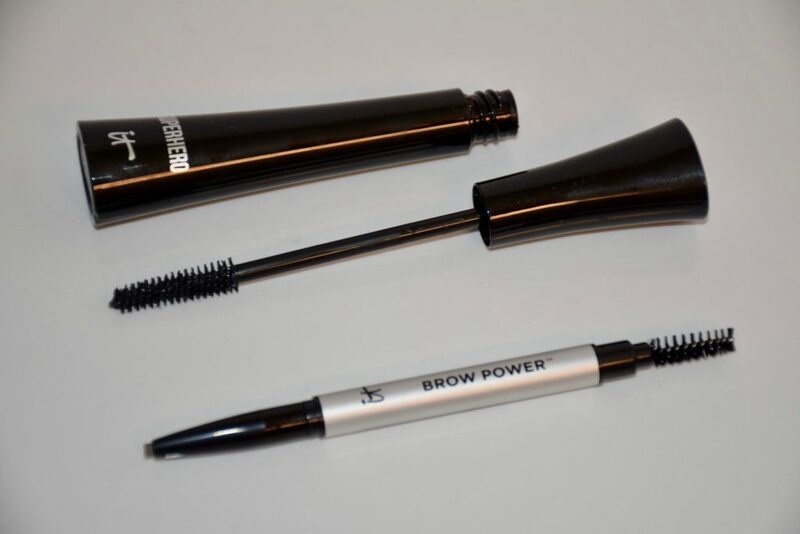 This eyebrow pencil creates beautiful, natural-looking brows in a few effortless strokes. 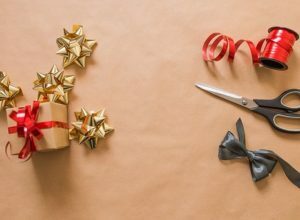 Infused with brow-enhancing ingredients including biotin, saw palmetto and antioxidants, the pencil features an exclusive oval tip that mimics the look of real hair. It also comes with a built-in grooming spooley brush on one end. I love the smudge-proof formula but its the universal transforming shade that makes this pencil a true winner for me! The shade adjusts to all hair colors (it even covers gray) based on the amount of pressure applied (i.e. use soft strokes for light hair or press harder for dark hair). 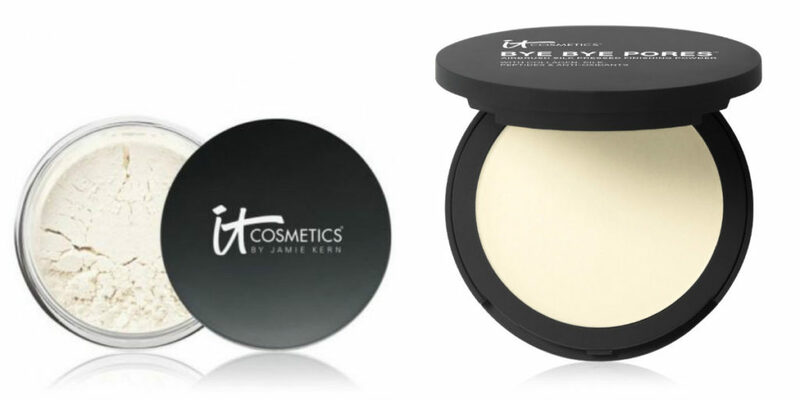 As for products I’d love to try, I am currently lusting over the new it Cosmetics Bye Bye Makeup 3-in-1 Makeup Melting Balm, their Confidence in a Cream and the Hello Light Anti-Aging Powder Luminizer. 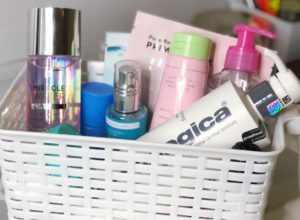 What is your favourite it Cosmetics product?